I’ve always loved Mara’s lead-in to her weekly pull lists. Check out what she’s reading and maybe find something for yourself! I’ve always been of the opinion that there’s a great comic book out there for everyone. I love making recommendations to folks – especially new readers – and helping them grow a love for one of America’s unique forms of literature. So, let me tell you what to read this week. All I need to know about this series is Greg Rucka. Rucka is responsible for one of the most diverse, respectful portrayals of Wonder Woman, bringing Batwoman to Detective Comics, and the new hit from Image, Lazarus. Basically, Rucka is a great writer with lots of talent in brining female characters to life. 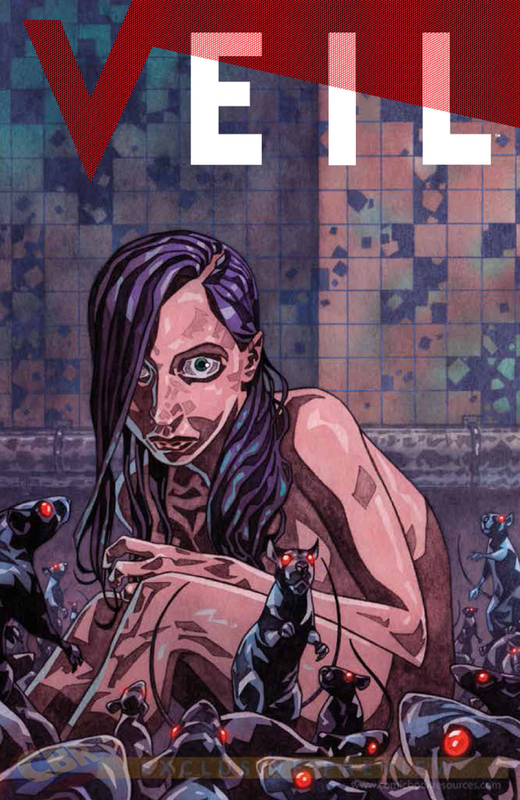 Veil, a girl wakes up in a subway with no memory, and strange things happen to those who try to harm her.